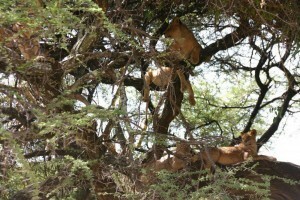 Tanzania’s fourth largest Wildlife Park and makes an ideal safari destination. This park is located in the south of Tanzania and is located beside the Selous game reserve, and has a surface of 3230 square km, it is Tanzania’s fourth largest Wildlife Park. Laid between two mountain chains, with in the north the Uluguru Mountains and in the south- west the Lumango Mountains. The park is famous for its flooded plains, these are large areas of savanna which flooded, which attracts a great mixture of wild animals and wildfowl. Furthermore you can see see large Hippo pools in the north of the park. You can see the following animals in this par; giraffes, buffalos, zebras, elephants, lions, leopards, crocodiles, wildebeest, impalas, gazelles, hartebeest and ostriches. Size: 3,230 sq km (1,250 sq miles) and part of a much larger ecosystem centred on the uniquely vast Selous Game Reserve. Guided walks and game drives. Visit Udzungwa Mountains nearby or travel on to Ruaha or Selous. Accessible the whole year round.